A hidden secret lies in the heart of Barcelona. All tourists that visit the city walk down the famous “Les Rambles”, enjoying its flowers, human statues, and curious personalities. Many of them also wander around the nearby Raval, an exciting but traditionally marginal quarter that is now a combination of prostitutes, nightlife, trendy shops, and immigrants from all over the world. Maybe some also visit the old “Hospital de la Santa Creu” garden. They might even notice that are in one of the most ancient hospitals in the world, from the early 15th century. In the garden they can have an “Estrella” beer on a terrace while enjoying one of Barcelona’s many sunny days, gazing at the magnificent Gothic wings of the Hospital – now Catalunya’s National Library. But very few of these tourists, that admire Gaudi’s architecture all over the city, realize that one of the hospital buildings obscures an astonishing 17th century anatomical theatre, the Sala Gimbernat. This is a secret that remains unknown even to many of the locals. 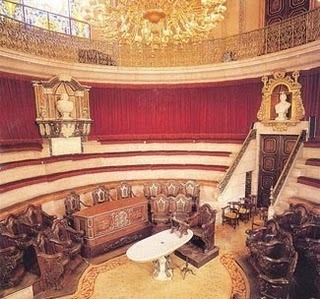 – The “Sala Gimbernat” brings us to almost 250 years ago. Image licensed under Creative Commons. Now one of the few anatomical theatres preserved around the world, the origins of the Sala Gimbernat can be traced back to the medieval period. 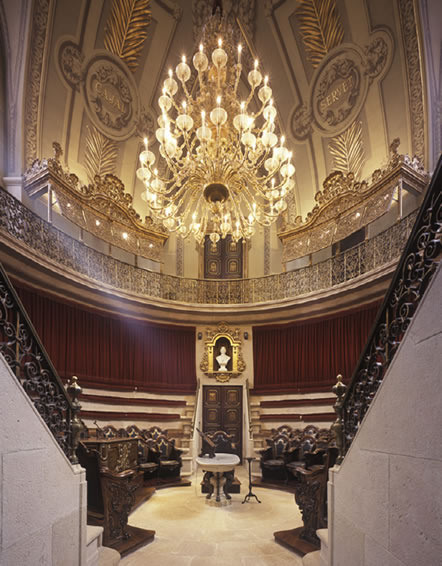 Already during the 15th century, a wooden anatomical theater existed in a predecessor of the Barcelona University called “Estudis Generals” that was situated in the top of “Les Rambles” which did not then exist. From there it was moved to a location near the so-called “corralet”, the hospital cemetery. This was done for two reasons. First, the “Estudis” were covered with an unbearable whiff coming from the anatomical lessons, even though they were only performed in winter due to the hot Mediterranean summers. Second, the new site was excellent, as the freshly dead corpses from the Hospital, together with those unclaimed sentenced to death, kept the anatomical theater in plenty supply! Yet, not much is known about this primitive wooden anatomical theater. After approximately two hundred years, in 1714, Catalans lost against the Bourbon King Philip V at the end of the War of the Spanish Succession. Then, the “Estudis Generals” were moved out of the city as a retaliation for the students’ strong fighting during the siege of Barcelona. As a result, the anatomical theatre was left without users and turned into a warehouse. It was not until more than forty-five years later, in 1760s, when surgeons were needed due to wars in the Americas, that the Catalan surgeon Pere Virgili (1699-1776) promoted the creation of the Royal College of Surgery of Barcelona, the second of the state after the Cadiz one. – The surgeon Pere Virgili in a 19th century engraving. Image licensed under Creative Commons. Of course, the College needed a proper anatomical theatre, so one was built out of concrete approximately in the same location as the former wooden theatre, near the “corralet”. With few nineteenth century upgrades, this theatre is what we can still visit today. A wonderful marble rotating table that allowed the lecturer to show the anatomical details to the students dominates the centre of the theatre. In the middle of the table, a hole drained the blood and other bodily fluids. It seems that beyond students, the general public was also interested in the lectures, as shown by the presence of an elevated walkway, allowing for extra attendees. Behind lattices, upper class people and nurses from the Hospital were able watch the dissections without being seen or intrusive. 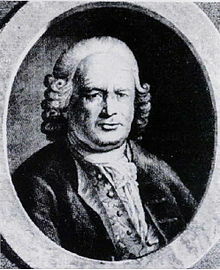 The theater was named after Antoni Gimbernat (1734-1816), another Catalan anatomist known for laying the groundwork for modern techniques of inguinal hernia repair. In the Sala, lecturing for five years, was also Santiago Ramón y Cajal (1852-1934) first Spanish Medicine Nobel laureate in 1906 for his pioneering work on the structure of the brain, primarily made during his time in Barcelona. 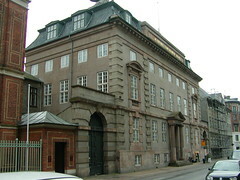 – The Medical School left the “Sala Gimbernat” in the early 20th century. 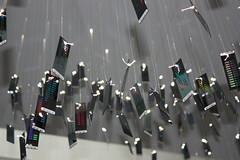 Image licensed under Creative Commons. Martínez-Vidal, A., & Pardo-Tomás, J. (2005). Anatomical theatres and the teaching of anatomy in early modern Spain. Medical History, 49(3), 251–80. Albiol Molné, R. (1992). Pere Virgili: (1699-1776). Fundació Uriach 1838. In Langhorne Gardens, a residential area near Folkestone seafront, an imposing stone figure gazes across the English Channel. 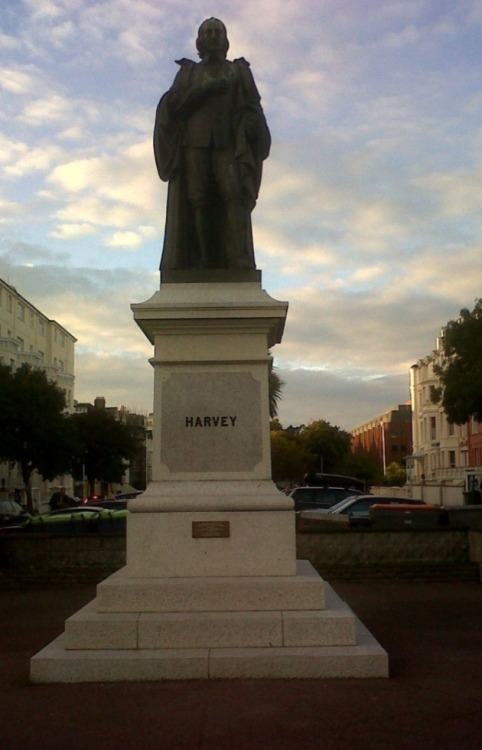 The statue of William Harvey, often described as “the father of modern medicine”, is situated incongruously between a lively bar and several hotels, flanked by a busy car park and period buildings now converted into flats and bedsits. 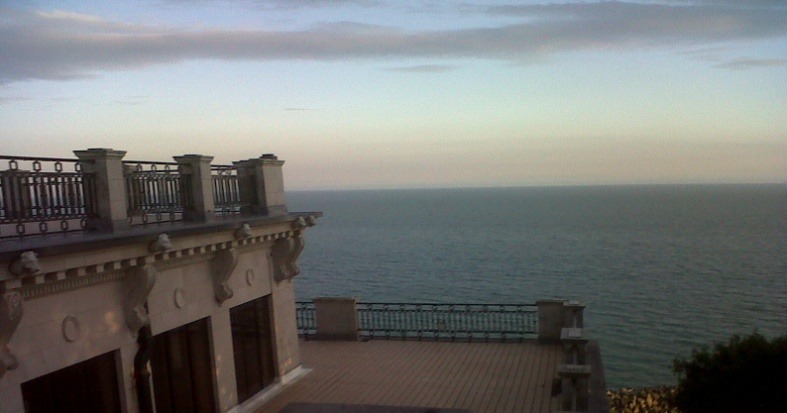 To Harvey’s right, the clifftop path offers a bracing walk along the windswept Leas to the historic Grand; to his left is concert and entertainment venue, the Leas Cliff Hall. On a fine day, it’s the perfect place to sit outside, watching the sea and reflecting on the natural world, while enjoying an espresso. Sharing the view with Harvey. Although he was 72 years old before coffee became a popular drink in England, he was already a caffeine aficionado, enthusiastically extolling its ability to stimulate the brain. 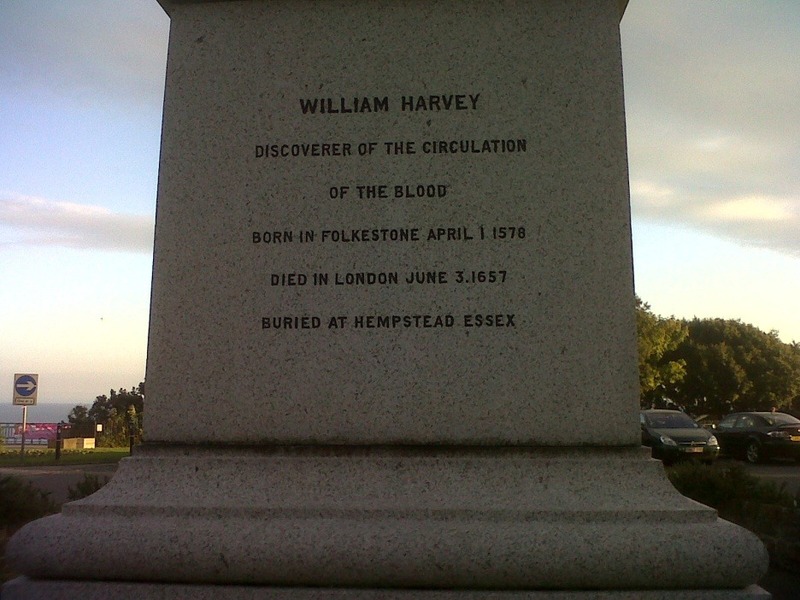 A classically educated physician, anatomist, scientist and clinical experimenter, William Harvey was born in 1578 in a different Folkestone to the present day. Best known now as home of the channel tunnel, in the sixteenth century, Folkestone was an important and prosperous seaport, and Harvey’s father was a prominent citizen, becoming mayor several times. After attending Kings School in Canterbury, William Harvey went on to study medicine at Padua, then the most famous medical University in Europe. His anatomy teacher was the celebrated Girolamo Fabricius (1537-1619), who, in 1574, discovered the valves in the veins, which permit blood to flow in only one direction. Upon returning to England, Harvey set up in medical practice in London, and in 1607, he was elected a Fellow of the Royal College of Physicians. By 1618, he was physician to King James and in 1629, Harvey published his famous “Exercitatio Anatomica de Motu Cordis et Sanguinis in Animalibus” (Anatomical Disquisition on the Motion of the Heart and Blood in Animals). In this work, Harvey proposed, and demonstrated by meticulously documented observation and experiments, that blood circulated around the body; a revolutionary theory which was contrary to the teachings of Galen, the second century Greco-Roman physician, who had claimed blood flowed in a back and forth motion, like the ebb and flow of a tide. Galenic ideas had influenced accepted medical knowledge for over a thousand years. Although Ibn al-Nafis, a Syrian physician, described the process of pulmonary transit as early as the thirteenth century, Harvey had discovered, in the process of his research into the workings of the heart, that this was what pumped the blood and circulated it; effectively revealing that the cardiovascular system was hydraulic. Significantly, this was a time when mathematical practitioners and experimentalists in England were exploring the mechanics of pumps and valves, in a country excited by novel developments in science, navigation, technology, commerce and agriculture. In 1973, on behalf of the British Medical Association, an honorary plaque was added, in the presence of the Harveian society. Founded in 1831, members meet every June in Folkestone for the town’s Harvey Sunday parade. Sadly, all of Harvey’s extensive research notes were lost when his house was burgled in 1642, and he died in 1657 at his brother Eliab’s house in Roehampton. But his legacy lives on, with the Harvey Grammar School set up by Eliab after his brother’s death (there was no school in the town when William was a boy, a matter he remedied in his will), a popular pub called Harvey’s at the end of Langhorne Gardens, and the block of flats just a few doors away called Harvey Mansions, which was my home for a year. And, fittingly, his name is given to the William Harvey hospital in nearby Ashford. It seems serendipitous that Harvey’s statue gazes eternally at the ebb and flow of the waves – how blood was once perceived to behave – until his discovery changed the future of medicine forever. Address: Langhorne Gardens, Folkestone, Kent, CT20 2EA. Walk down from the point indicated on the map towards the sea and the statue is found just before you reach the Leas Cliff Hall. Canterbury is a city rich in history. Many of the buildings within the city walls have long and interesting stories to tell. 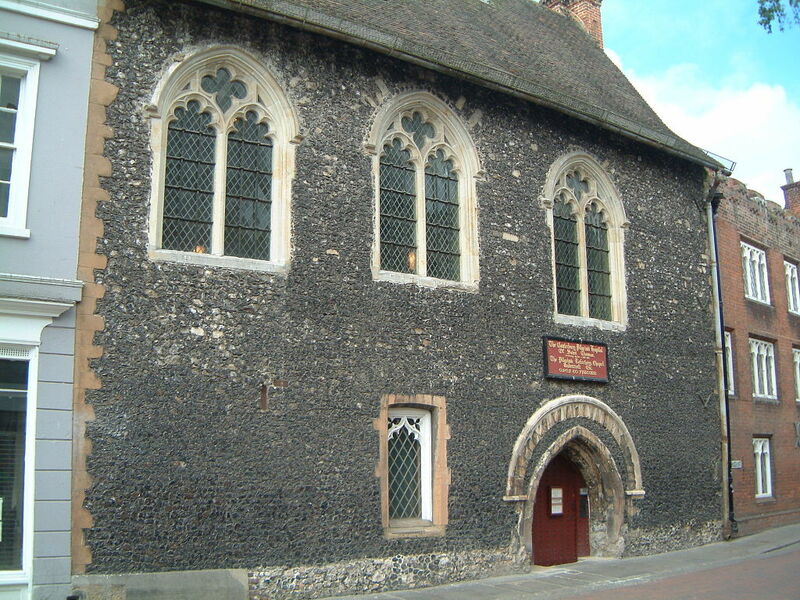 The Eastbridge hospital and the accompanying Greyfriars Chapel were built and founded in c.1180. Though a hospital in the old sense of the word – a place of hospitality, it still tells a history of medical epidemics. The city was struck by the Black Death; on a longer time-scale, pilgrims with leprosy were continually arriving, and this hospital is a good prism through which to view that history. Though people with leprosy were not accepted by Eastbridge Hospital, medicine was administered to people who suffered from other illnesses. Although the Eastbridge Hospital does not share the grandeur of buildings in Bruge, Edinburgh and Seville, it has an extremely rich history. The architecture, though not stunning, is also very interesting and compelling. Canterbury – Eastbridge Hospital of Saint Thomas the Martyr, by ABrocke. Image licensed under Creative Commons Attribution-ShareAlike 3.0 Unported license. As soon as you see the front door you are looking at a piece of technological history. The door to the building is very low and has a large step down. This is because as the road has been improved since the twelfth century the ground level has risen. Once you walk in there is a great amount of history to be seen; which can be surprising considering the small size of the place. When entering the building you are greeted by a very kind and elderly staff member. The hospital doubles as accommodation for the retired, some of which also work on the reception. There is an entry charge but it is very low, and is well worth it. As you enter you are directed to visit the Undercroft where there are a large number of plaques describing the history of the building. Then you can go upstairs to the refectory where you can see the list of previous masters and some artwork which is impressive both because of its antiquity and its artistic merit. Past the refectory are the entrance to the accommodation and the chapel on the top floor. The chapel, though small, maintains the ability that all chapels have to reduce any person’s voice to a whisper. It is important to appreciate the building for its history. When Thomas Becket was killed in Canterbury Cathedral by the knights of King Henry II, he became a martyr in the eyes of Europe’s Catholics. By 1172 people of all kinds, from the poor to Kings and Queens, were travelling to Canterbury in their hundreds. All these pilgrims needed a place to stay and multiple hospitals were founded in Canterbury (mostly in the twelfth and thirteenth centuries). Some catered to the wealthy, some to whoever could pay. The Eastbridge Hospital was the only hospital that took pilgrims in without charge; however, they did not accept sufferers of leprosy. Pilgrims could stay at Eastbridge for one night if they were in good health but were allowed to stay for longer if they were sick. The pilgrims would stay in the Undercroft, a room typical of Britain’s older buildings. It has gothic arches, a low ceiling, and mould on the stone wall in the corner. Being a naturally curious historian, I was compelled to touch the mould and suffered immediate regret. It was much more moist to the touch than it looked and left a green mark on my finger for some time. It did however help me to understand some of the problems of upkeep that seem so prevalent in this building’s history. At times it feels quite possible to understand what it may have been like to stay in this room, but that is of course up to personal imagination and fantasy. It is very hard to believe that someone from the modern world could accurately put themselves into the shoes of a sick 12th century pilgrim. The monks or friars would sometimes administer medicine to the sick people. Pilgrims would also come expecting healing miracles from the masters; roughly a hundred of which are recorded at the Eastbridge hospital. This was at times, very bad news for the masters themselves. As we know now leprosy is one of the least contagious infectious diseases. It was the Black Death that the masters (and other residents) of the Eastbridge Hospital needed to protect themselves from. The Black Death peaked in Europe around 1348-51. Sufferers of the Black Death came to visit the shrine to Thomas Becket in Canterbury. They would also meet and be touched by the master of Eastbridge hospital in hopes of a miracle cure. In doing this they would give the disease to the master himself. A list of all the masters of the hospital can be seen on a large plaque in the refectory (which also contains a 13th century mural of Christ). At closer examination it can be seen that in each century there have been roughly seven or eight masters. In the fourteenth century however, there were fourteen masters. In the years 1349-51 alone there were a total of four masters as they kept contracting the Black Death from pilgrims. Masters tended to only last a few years if they were lucky around this time. This is one of the reasons that Eastbridge Hospital is an interesting historical prism through which to view the Black Death in Canterbury. It also helps to bring to contagious nature of the Black Death into understanding and shows that the Black Death affected different facets of society. Depending on your personal preferences, you may want to visit Canterbury at different times of the year. If you like peace and quiet in the evening you may want to visit in the summer when the weather is better and the city is more serene. Visiting during term-time will result in a more vibrant and lively atmosphere in the day time. This becomes very noticeable as the front door is open and the sound of people and buskers in the streets can be heard in the Undercroft. It has brilliant acoustics of a kind that can only be found in stone buildings.